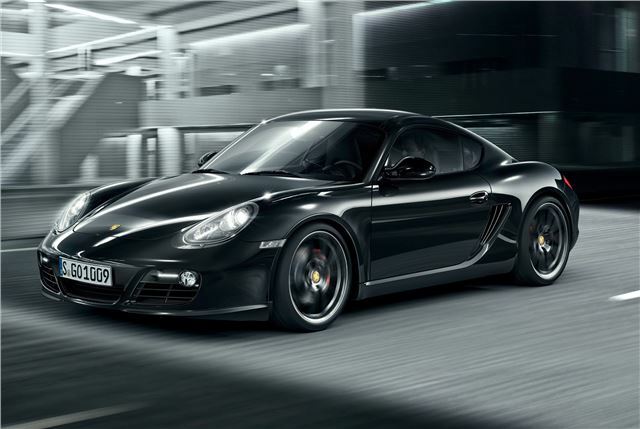 Porsche has released details of its new Cayman S Black Edition model. 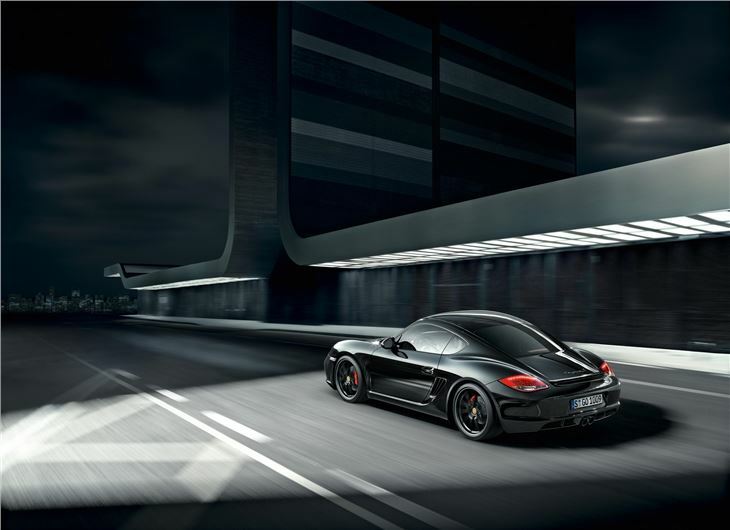 It has ten more horsepower than the standard Cayman S as well as more standard equipment. It goes on sale in September 2011 priced from £50,420, and it’ll only available in black. The 3.4-litre flat six in the Cayman S Black Edition is tuned to deliver a little more power, allowing for a slightly faster 0-60mpg time of 5.1 second with the manual and 5.0 seconds with the PDK double clutch gearbox. With a PDK and Sport Chrono pack, 0-60 can be achieved in 4.8 seconds, thanks to a launch control system. Despite the increased power, fuel consumption remains unchanged. The manual returns 29.7mpg and the PDK 30.1mpg. 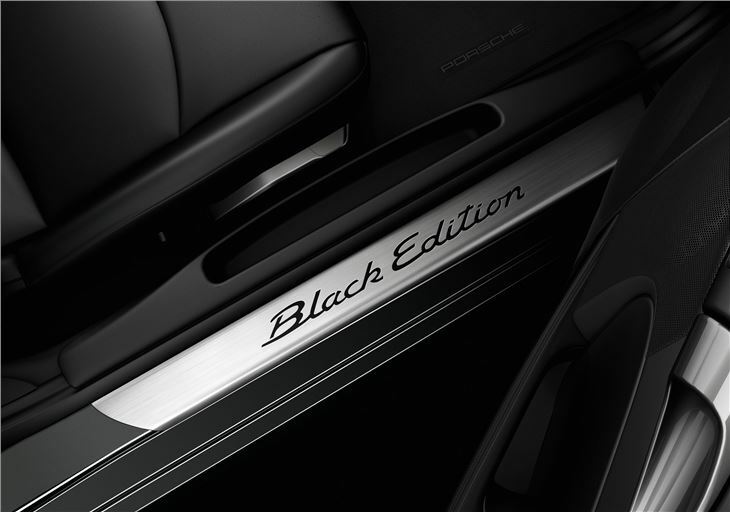 The Black Edition is fitted with the lightweight 19-inch wheels from the Boxster Spyder, finished in black. Bi-xenon headlights, LED daytime running lights, anti-dazzle mirrors and rain sensing wipers are standard fit, as is a Porsche Communication Management system featuring sat nav, Bluetooth and MP3 capability. The interior is black, as is the dash, the gear lever, dials, and exterior paintwork. Customers who opt to buy one of the 500 limited edition examples will be able to participate in a complimentary course at the Porsche Experience Centre, Silverstone.